Aimed at kitchen fitters who want to learn how to install Corian®. 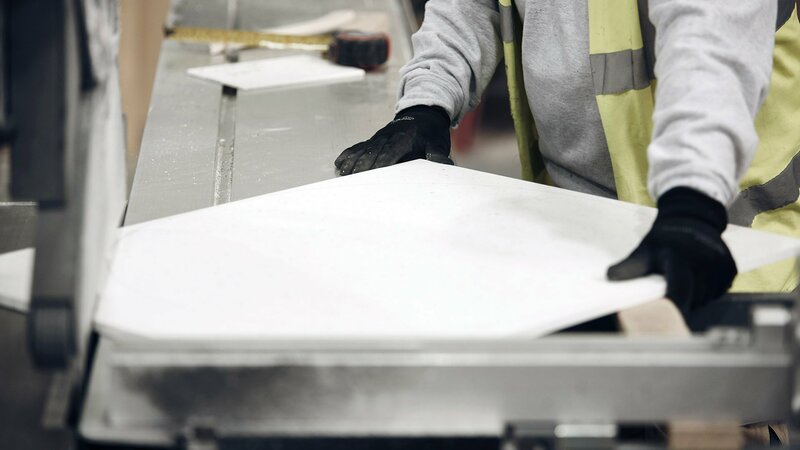 The Half-Day Fitter Course is held at the CDUK Training Centre in Leeds and is specifically aimed at kitchen fitters who want to learn how to install Corian® work surfaces. The course focuses on the fitting elements only and is not designed to show fabrication techniques. For more information, please call 0113 201 2240 or fill out the form below. I consent to my data being stored and processed by CDUK so they can respond to my request to book on to a course. I would like to take this opportunity to formally recognise the hard work your sales team do for us on the phone and with all your email orders. They are obviously a close team who all interact in a highly professional manner. Please pass on our thanks, particularly during this extremely busy period and let them know that their efforts do not go unnoticed. Can I say how impressed I've been with CDUK from the moment I called. Kim was really pleasant and genuinely helpful, following up with suggested fabricators and sending me out one of your superb sample cases, which was a real clincher when showing the client. I just wanted to let you know about my experience with CDUK this week. Nicole has been amazing and I am just so pleased she is on board - she is really helping us with sales on a potential new project. Andy has also been fantastic in helping me with some technical issues with a large project we have coming up. Nicole and Sarah bounce off each other and were extremely professional. It was fantastic training. Very well put together and presented. We came away with a lot more knowledge and off the back of it sold two new worktops! We look forward to more training with CDUK.